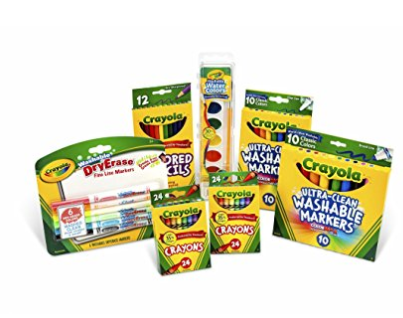 Amazon dropped the price on this Crayola Back To School Pack Grades K-2 to $10.76 (reg. $23.99). The best price it’s been on Amazon. Two 24 Ct. Crayola Classic crayons. 12 ct Crayola colored pencils. 8 ct. Crayola washable watercolors. 10 ct. Crayola Ultra-Clean washable Fine Line markers.